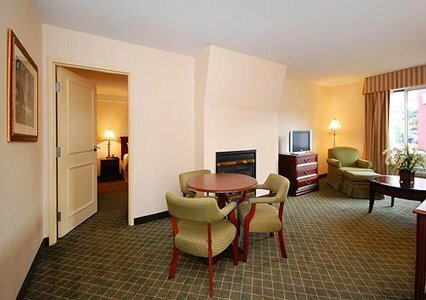 Clarion Hotel & Suites, a Hamden hotel minutes from New Haven. 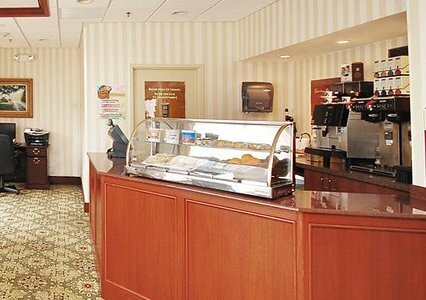 The 100 percent non-smoking Clarion Hotel� & Suites is conveniently located off Merritt Parkway (Route 15) and Interstate 95, just five miles from New Haven. 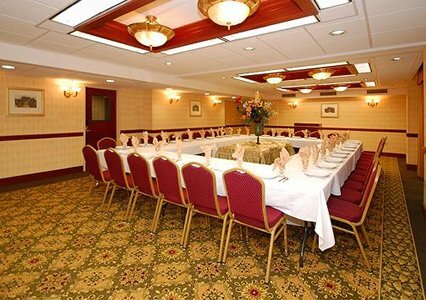 This Hamden, CT hotel is minutes from Quinnipiac University, Yale University and Southern Connecticut State University. Weekday transportation to Yale University is available. 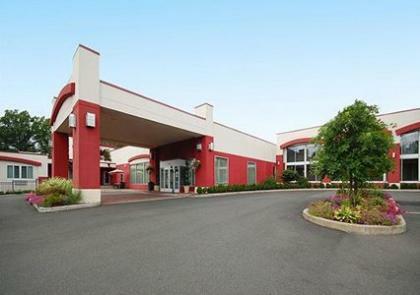 The hotel is 45 miles from the Bradley International Airport and 14 miles from the Tweed New Haven Regional Airport. 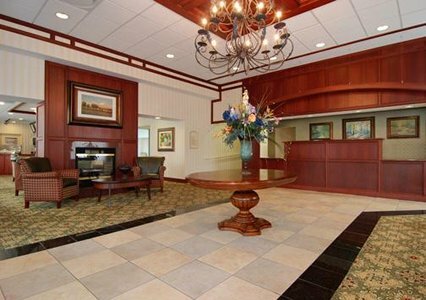 This Hamden, CT hotel is located in a suburban setting, minutes from area attractions and with walking distance of various restaurants and shopping opportunities. After a long day of work or play, be sure to relax in the hotel's indoor heated pool. 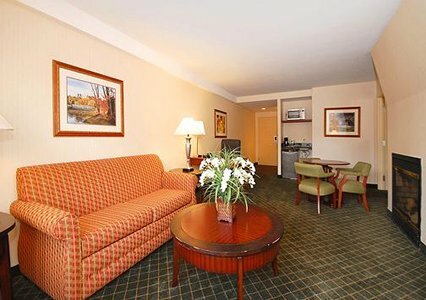 Business travelers will appreciate conveniences like computer hook-ups, a business center and access to copy and fax services. 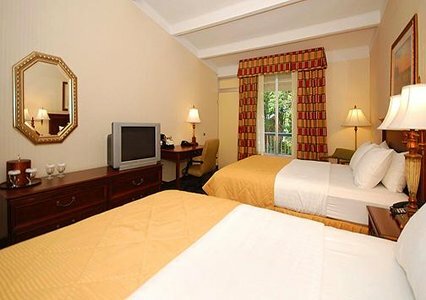 All spacious guest rooms include hair dryers, irons, ironing boards, coffee makers, voice mail, desks and cable television. 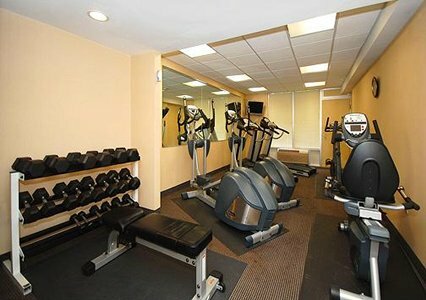 In addition, some rooms have refrigerators, microwaves and balconies to accommodate all guests' needs. 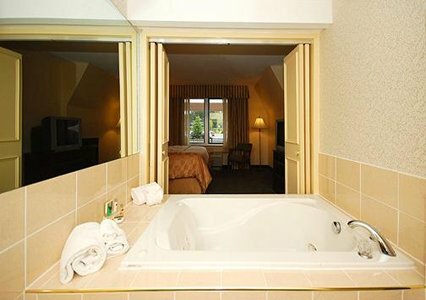 For special occasions, some suites feature fireplaces and whirlpool bathtubs. Whether you're in town for a short trip or planning an extended stay, make the Clarion Hotel & Suites your home away from home. Let us be your host the next time you visit the Hamden area. Great stay ...super friendly staff.